If you’re a Christian, you will find this poem relatable. It covers in a crisp fashion the daily struggles of the believer as we seek to live for God in the face of stiff opposition from ungodly forces. Read and be blessed in Jesus’ name. Sometimes I make up my mind to give up to some threatening situations but when I remember that He is there for me even in my weakest state. Far be it that I shall ever think of giving up on God. I so much love your poetic devices. Thanks to you ma. Praise God, my dear! Our God is faithful forever. You are blessed! interesting, i love the rhyme, i bet God loves it too and he won't hesitate to answer. Thank you Jesus for for leaving us with your mighty weapon the word of God. No weapon formed against us shall prosper. When the enemy speaks we speak back with our spiritual sword. Amen and amen. Glad to hear from you, Bee! God's abundant grace in all your endeavours in Jesus' name. Amen. This I claim in my life for Gods protection and love to always be with me. Thank you Ma'am for this inspirational write up, you are indeed a blessing to our generation. 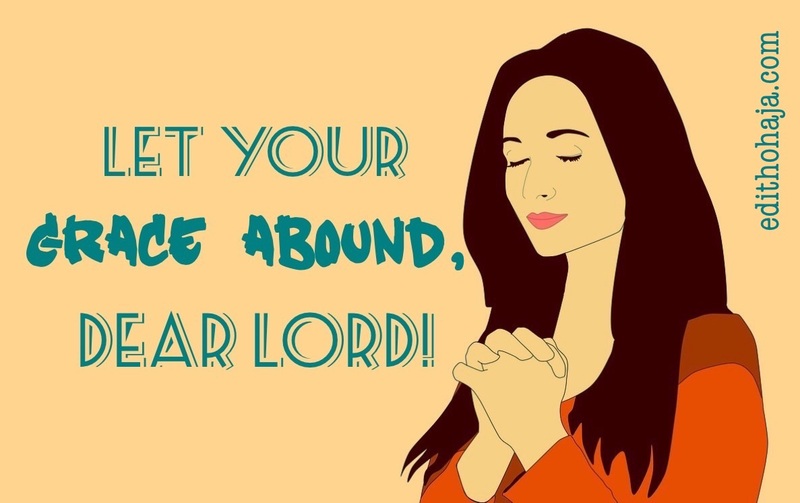 Let his grace always abound in our lives, Amen!!! i admire the poetic flow. There's no greater weapon than the ''word'' of God a tool to creating and recreating things.